At St Benedict’s we are very proud to have an active Parents and Friends Association. Meetings are held on the 2nd and 6th Monday of each term in the school library starting at 7pm, and everyone is welcome. Our school principal attends meetings where possible to represent the teachers and the school community. 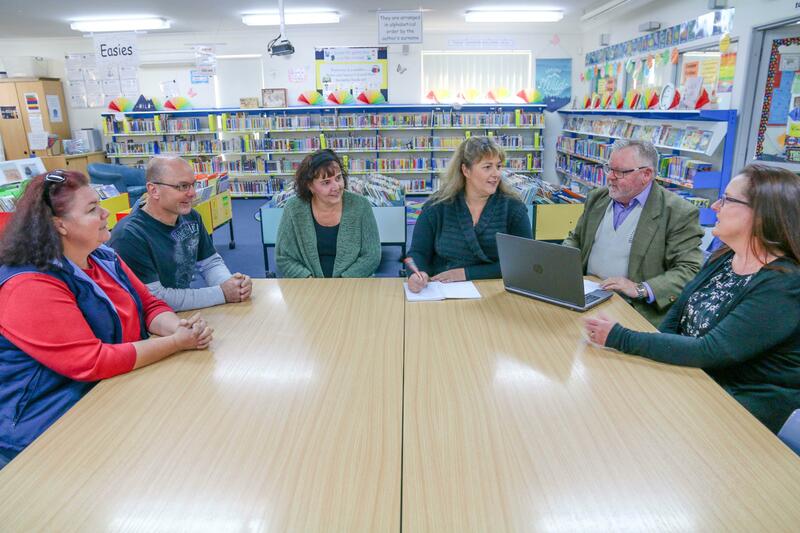 The P&F meetings provide an open forum for all parents and members of the local community to air and discuss their concerns and to make suggestions for the continued development of the school and its facilities. Fundraising to provide resources for the benefit of the students is central to the purpose of the P&F, with the first meeting of each year dedicated to planning the fundraising activities for the year ahead. At the Anuual General Meeting (AGM) all executive positions are made vaccant and voting determines who will fill these roles the following year. Role Statements for each position are below. The P&F, canteen supervisor and parent volunteers ensure that a healthy canteen is available for the use of students and staff daily. At each meeting a canteen report is tabled and any proposed changes to the menu and/or facilities are discussed. Along with the fundraising events managed by the P&F, an annual disco for the children and their families is organised and run at the school each year. These are well supported by our families and the parent volunteers who assist in the canteen and with the serving of the barbeque. Through close collaboration between the P&F committee and the school management, a healthy and fruitful relationship exists that ensures the resources and services available for the education of our students is constantly improved. This is a working relationship of which the P&F is proud.